The EPA has approved the 4-hour Lead Renovator RRP Refresher Training to be taken fully ONLINE every other renewal period. IMPORTANT NOTE: If taken online, the EPA Lead Renovator Refresher course is valid for 3 years, and the next refresher course you take will have to be completed in-person. In-person EPA Lead Refresher classes are valid for 5 years. For WA Renovators: To perform RRP work in Washington state, additional paperwork is required following completion of this online course for reciprocity - Learn More and View Forms. For individuals who have previously completed the 8-hour EPA Lead Renovator Initial Certification course in compliance with the Renovation, Repair, and Painting (RRP) Rule, this 4-hour RRP Refresher Course is required to renew your Lead-Safe Renovator Certification. This course is now approved by the EPA to be 100% online, so you are allowed to renew your lead-safe certification from the comfort of your own home! 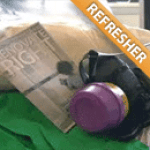 To renew your Lead Renovator certification, the refresher training course must be completed prior to the expiration date on your initial training certificate. Your username and password to access the online training program will be sent within 1 business day of purchasing of the training. The entirety of program, including the required Final Certification Exam, must be completed prior to your expiration date. To complete the course you must pass a 30-question practice quiz. Following that you must also pass the Final Certification Exam (25 questions, multiple choice). You will be allowed a maximum of TWO attempts to pass the Final Certification Exam. Students are encouraged to carefully review all material prior to attempting the Final Exam. If you do not pass the Final Exam after two attempts, you can retake the course for a $50.00 fee. Upon successful completion of the full course and final exam, you will receive an email confirmation. Your final certificate will be processed and emailed within 1 week of completing the course AND providing the necessary documentation (see below). Access to the Online Training will expire after 30 days of enrollment date. Students MUST provide a copy of their valid initial training certificate or card (cannot be expired), as well as a recent digital passport-sized photo, to receive the RRP renewal certificate. You will be prompted to upload this information after taking the final exam via the online learning portal. Failing to submit this documentation prior to completing your course will cause delays in receiving your final certificate. If you no longer have your initial training certificate or card, please contact your initial training provider to request a new copy. If you have not attended the 8 hour initial course yet, you can click here to view these courses. Certified Renovators are required to complete the refresher training prior to the expiration date of your original certification. For individuals who have previously completed the EPA Lead Renovator Initial Certification in compliance with the Renovation, Repair, and Painting (RRP) rule, this 4-hour Refresher Course is required to renew your individual certification. RRP recertification is required every five years in states under EPA jurisdiction. Our courses are delivered by experienced instructors, and will provide you with all the current information you need to successfully and safely perform RRP work in the field. 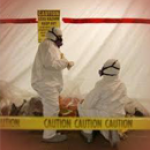 This course is approved for purposes of certification under Section 402 of TSCA. Effective April 22, 2010, anyone who performs renovations, repairs, or painting in pre-1978 housing or child-occupied facilities must be EPA Lead Safe Certified. Individuals and firms that are not certified could face fines of up to $37,500 per day. Companies performing this type of work must be registered with the EPA or an EPA-authorized state, and at least one person on the actual job site must be a Certified Renovator, which is achieved by taking the 8-hour Lead Renovator Initial Certification Course. Renewal of this training course is required every 5 years by the EPA. Individuals certified in an EPA-authorized state may be required to renew earlier than every 5 years, so check with your state Lead Based Paint regulation program for details. What if I can't find my previous training certificate? First, if you remember who your previous training provider was, contact them for a copy of the certificate. If you don't remember, you can try calling the EPA Lead Hotline at 1-800-424-5323 for a list of training providers in your area to call to try to determine which was your trainer. What are the details of the final exam? The Final Certification exam is 25 questions, multiple choice. A passing score is 72% or higher. If a student fails the exam, they can review the course material before attempting the exam a second time. Only two attempts are permitted per participant. What if I fail the final exam twice? If both permitted attempts of the final exam result in a failing score, the participant must re-take the course before additional attempts are permitted. A $50 retake fee will be required to reset your course. What if my certificate is already expired? EPA Certified Renovators who received certification on or before March 31, 2010 now have until March 31, 2016 to get re-certified. EPA Certified Renovators who received certification between April 1, 2010 and March 31, 2011 have a 1 year grace period after their original expiration date to take the refresher course. The EPA will allow renovators to take a refresher course without hands-on training once every other certification. Once a renovator takes the refresher course without the hands-on training, their next refresher training must include hands-on training. 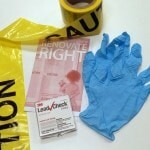 The certification from the refresher course without hands-on training will last for 3 years. Taking the course without hands-on training is optional but once a renovator takes the course, their next refresher course must include hands-on training and be taken within 3 years of their previous certification. The certification from taking a course with hands-on training will last for 5 years. Certificates Certificates are emailed, typically within 7 business days after class. Below are the most recent student reviews for previous Online EPA Lead Renovator RRP Refresher Courses. Overall, very good. Overall, very good. Website fairly clear to understand. Nice that you could take the test online verses driving long distance to sit in a class... Website fairly clear to understand. Nice that you could take the test online verses driving long distance to sit in a class for same information. Easy instruction and very efficient. Easy instruction and very efficient. The online course was perfect as I forgot the deadline for my Lead Renovator Certification was approaching. It was quick... The online course was perfect as I forgot the deadline for my Lead Renovator Certification was approaching. It was quick and easy. Great online class. Would recommend to anybody. Great online class. Would recommend to anybody. Great online class that kept me on the computer without getting sidetracked and bored. Informative and I would recommend... Great online class that kept me on the computer without getting sidetracked and bored. Informative and I would recommend this course to anyone that needs it. Very professional, very clear instructions. Very professional, very clear instructions.